In the early 1960’s, a group of scruffy troubadours rented out a small loft on Delancey Street in New York’s Lower East side, and began putting on weekly performances. Headed by Peter Schumann, a sculptor, dancer and baker recently emigrated from Germany, they would distribute Schumann’s bread to the audience who would slowly chew the coarse sourdough as the puppet performance ensued. Schumann was just back from a puppet teaching gig at the Putney School in Vermont, where his wife Elka had been teaching Russian language as a means to support her graduate studies in the same field. Unable to successfully pitch a class in choreography and dance, the school administration did accept Schumann’s proposal to teach an extra-curricular class in puppetry. Named alternately the Moosach Puppet Theater and People Puppet Theater, Schumann also took the show on the road. He converted his father-in-law’s small trailer into a mobile puppet stage, and hauling it with a beat up station wagon, started an improvised solo tour across New England, putting on impromptu performances in random towns and cities along the way. Back in New York City, friends Bob Nichols and Mabel Dennison underwrote the $60 a month rent on the Delancey Street space, and Schumann quickly converted it into a theater and puppet museum. Schumann’s skills and interest in dance and sculpture were fused in puppetry, and the bread baking and distribution shored up the utilitarian function of an art practice synthesized with daily life. Peter and Elka decided on the name Bread and Puppet Theater. The name stuck. The year was 1963. The Bread and Puppet Theater would embark on a remarkable 50 year journey, leaving an indelible stamp on the world of theater and the American cultural landscape. From the humble loft on Delancey Street, the Theater took to the streets and beyond. Enmeshed in the radical counterculture of downtown New York, and informed by Elka’s heritage of political activism, beginning in 1964 with some of the earliest demonstrations against U.S. Involvement in Southeast Asia, Bread & Puppet became a familiar presence in the protest movement against the Vietnam War over the following decade. The politics were also local – during the summers of ’65 and ’66, Bread & Puppet created large scale outdoor pageants in some of the poorest neighborhoods of New York City, and in collaboration with the residents addressed urban political and social issues of the day. It was here that some of B&P’s most enduring puppet icons – Uncle Fatso, The Dragon, Mother Earth and Uranos – were created with the help of the neighborhood kids. In 1968, Bread and Puppet presented Fire, an understated yet hard hitting indoor piece about the Vietnam war, to critical acclaim at the Nancy Theater festival in France. This launched the theater into international prominence and helped secure over a decade of seasonal touring in Europe and beyond. During this period, Bread & Puppet was often associated with the New American Theater – a loose-knit avant-garde movement that included companies as diverse as the Living Theater, The San Francisco Mime Troupe, Robert Wilson and others. Schumann had come to the States informed in part by the European avant-garde, and in New York was exposed to the Dada influenced work of Cage and Cunningham; the early happenings of Oldenburg, Kaprow, Grooms, et al; Fluxus; and the Judson Dance theater. But unlike many of his contemporaries, Schumann’s experimental sensibility was combined with much older forms and traditions: medieval passion plays, the bible, fairy tales and other folkloric traditions of story telling. Bread and Puppet was also set apart by its economic independence. Guided by a philosophy of living and working within the means available, the Bread and Puppet aesthetic was inextricable from the papermache, burlap, twine, and staples, that made up and literally held the puppets and the shows together. In 1970 Bread and Puppet moved to Vermont, first to a residency at Goddard College, then in 1975 to an old dairy farm in Glover, in the Northeast Kingdom. In Vermont, the annual Our Domestic Resurrection Circus was created, using the pastoral landscape to stage large scale outdoor productions. As the Theater faded from the contemporary theater spotlight, the two-day festival grew to become Bread and Puppet’s central activity, produced by over one hundred volunteers and drawing audiences in the tens of thousands. Seasonal touring became even more diversified, and included more local, regional and third world venues; Bread and Puppet workshops – where shows and circuses were put together using local volunteers – became a more common mode of production and performance; and the Bread and Puppet Press grew to become a staple of the theater’s income. Peter decided to end Circus in 1998, after the tragic death of an audience member in one of the teeming campgrounds that had evolved adjacent to the Theater. The Circus was succeeded by a summer program with weekly, smaller scaled performances. In this new format, the Theater continues its prolific output of new shows, addressing the issues of the day – like militarism, capitalism, and ecology – as well as re-staging classic Bread and Puppet shows from the 1960’s and 1970’s. Now on the eve of the Theater’s 50th anniversary, it is time to take stock of what has been accomplished, and what lies ahead. Over the years, Bread and Puppet has grown into a vast community, adding new layers every summer as new apprentices learn the ropes from returning apprentices and past puppeteers with years and even decades of experience under their belts. An extensive local community participates and lends resources for the summer shows, parades, and the maintenance of the buildings and grounds. Children grow up in the theater and now even some of those children’s children are taking part. It is this network of support and volunteerism, as well as the attraction and commitment to an art form that is homemade, and which reflects on and addresses the concerns of the world and celebrates its beauty, that has made the Theater possible and what it is. As the theater continues to operate within its means on a shoestring budget, the summer program has evolved into a highly organized operation, including larger than ever intern and volunteer participation, and plays to enthusiastic and growing audiences. 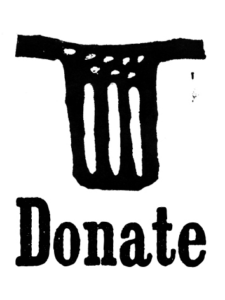 One of the most enduring legacies of Bread and Puppet is its autonomy, receiving no direct government or corporate funding, but instead relying on its own practice of frugality and a huge amount of volunteerism, along with the merged incomes of performance fees, Press sales and donations to pay its own way. This model is in itself an art form, not only of puppetry and theater making, but also a lived philosophy of art and activism. Bread and Puppet’s impact on the greater world of experimental theater is acknowledged by scholars, and evidenced by the hundreds of unique theater companies now in existence that cite Bread and Puppet as an influence, in countries from Nicaragua to Italy, Korea to France, Peru to Poland, and of course the U.S. It is difficult to conceptualize what this past fifty years of work represents: how many thousands of hours of paper-mache, sewing and painting; hundreds of thousands of hours of puppet rehearsal and performance; the countless band rehearsals, meetings, training sessions for volunteers; millions of miles traveled by the many many Bread and Puppet company members across these fifty years. This is a landmark we celebrate with astonishment and humility. Please Click on “Tour Schedule” tab above and scroll down past the dates and times to see descriptions and photos of the Current Repertoire of Shows we are performing! Any further questions? Call 802-525-3031.